Constructed from restored teak and river stones typifying the original garden cottage. This is the most spacious option available and ideal for families looking for a relaxing retreat. It offers exceptional privacy, as well as a private veranda. 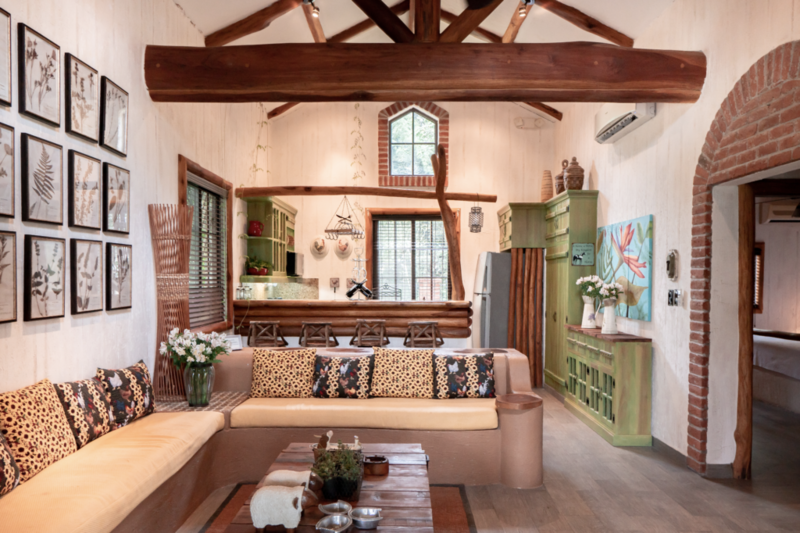 Inside, an open-living spacious living room and a small kitchen with high ceilings. It has two bedrooms: one with a king sized bed and the second with two twin beds. 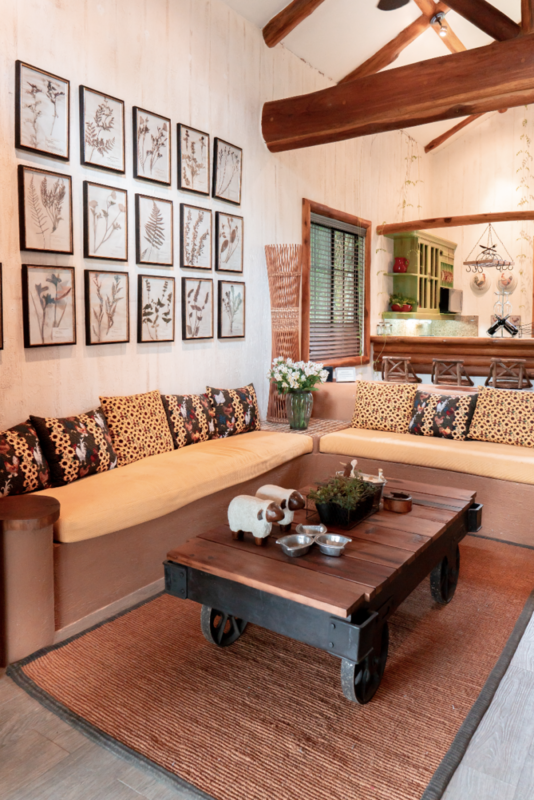 Warm, earthy tones and neutral linens are complements by teak furniture crafted by local artisans, offering a unique sense of style and place. A bathroom is shared between the two bedrooms. 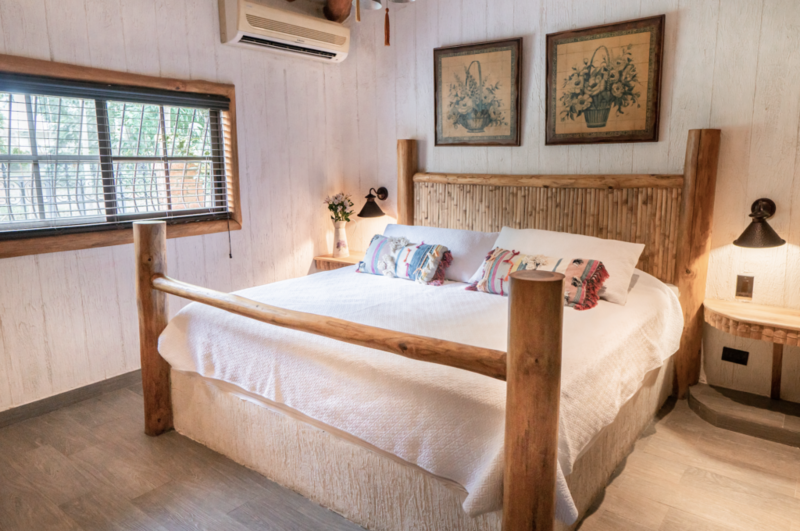 The family villa offers an entertainment system and WiFi access, whilst thoughtful extras such as binoculars, private hammock, mini bar, coffee machine and a yoga mat.